Amazon on Wednesday improved the look of fonts in Kindle for iOS, while Fox launched a Movie of the Day app for the iPhone, highlighting daily flash sales of Fox movies hosted on iTunes. The app's main improvement to fonts is the addition of "Bookerly," a custom-designed font meant to make reading easier on digital devices. It was originally developed for Amazon's Kindle Fire tablets, and the company said it should work with "most" Kindle books. 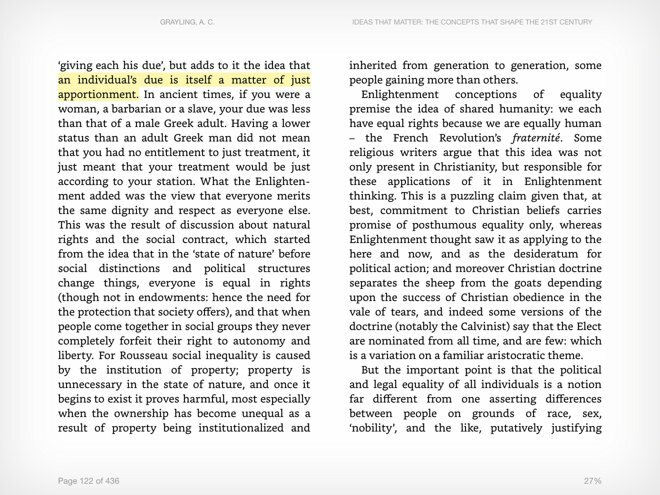 iOS reading has also been improved with hyphenation, better word and character spacing, and new, larger font size options. The app's page layout code has been updated to preserve the positions of things like images and drop caps regardless of font or screen size. The Kindle iOS app is free and runs on iPhones and iPads with iOS 7.0 or later. Movie of the Day promotes a single Fox title each day, offered at a sharp discount over its usual price on iTunes. Today's movie for instance is X-Men: First Class, available for $7 instead of $15. Deals expire within 24 hours. The app is currently available in the U.S., U.K., Canada, Australia, France, and Germany. Movie of the Day itself is free. Users must have an iPhone with iOS 7.0 or better, but any purchases made in the app will be automatically added to a person's iTunes library, which can be synced across devices.